Daylight saving time (DST) just extended our evening hours with more light. That means more time after work and school to shop, do leisure activities, go to athletic events. So maybe we should forget about “falling back” in November and keep DST? Our decision relates to the impact of sleep on human capital. Quantified, extra sleep for sleep-deprived individuals could have “societal benefits” equal to $50 a day. The reason? More productivity at work, fewer auto accidents, diminished cardiac events. Where are we? Sleep makes an economic difference. The DST idea has been around for a long time. In 1784, Benjamin Franklin suggested (somewhat sarcastically) more morning light would let us conserve candles. And, for some reason, DST history commemorates George Vernon Hudson, a New Zealand entomologist who, in 1895, wanted more evening light to study his insects. In the U.S., we have to look to 1918 when the Congress included a DST clause in time zone legislation. Hoping to move the clocks forward every May 31, instead they created a huge flap. On one side, farmers objected saying their cows could not be milked and their work could not begin in dark wet fields while baseball team owners cheered that later games would boost attendance. Convinced that more women would shop after work, the founder of Filene’s department store was also delighted. In 1919, the Congress wound up rescinding DST and then went back and forth until the Uniform Time Act of 1966 and the Energy Policy Act of 2005 made it the law for (most of) the land. The problem though is that DST’s rationale relates to energy conservation and current research indicates that DST could even increase energy consumption. 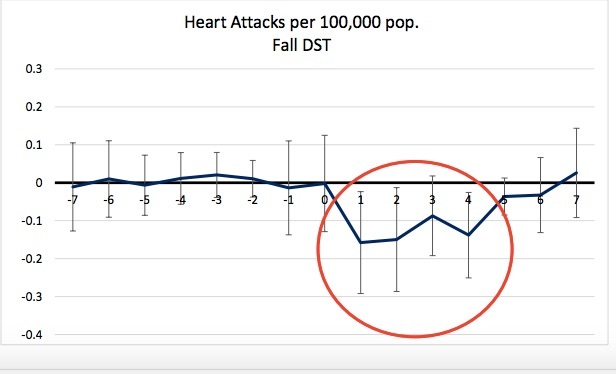 Our March “spring forward” might harm our health but the data is not definitive. Our November “fall back” helps our health because of the extra sleep. We can keep DST year round, spring forward and fall back, or abolish it. You can see below the nationwide impact of each alternative. We can define human capital as the nation’s stock of intellectual ability, of personality skills and of health. Similar to physical capital like business construction and residential housing, more human capital boosts economic growth. 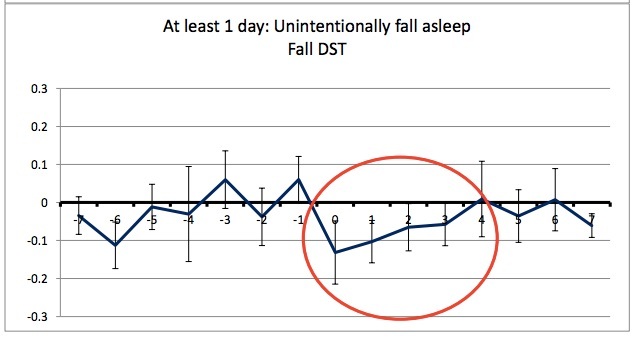 Since sleep helps or harms our human capital, perhaps it is not such a leap to say that DST relates to GDP. My sources and more: Ranging from the newest academic research to this Vox article, DST discussions are rarely conclusive. Please note that we have published the DST history section in previous econlife entries and this post was slightly edited after publication.